Discount Gloria Cubana Cigars cigars store have the lowest online prices on cheap cigar. 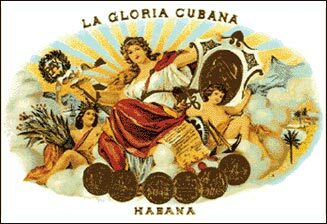 A very old brand that dates from 1885, "the Glory of Cuba" presents a wide variety of sizes in a small, but beautifully made range. The strength is medium; note that this is one of the few brands which is only handmade. Developed by Jose Rocha and Rafael Garcia, the brand got off to a good start thanks to tireless promotion by Pepin Fernandez, owner of the Romeo y Julieta brand, who helped his friends introduce the La Gloria Cubana and El Crepusculo brands overseas.